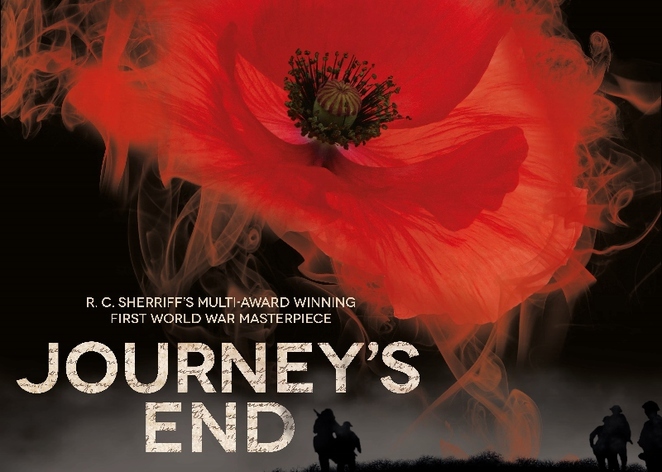 Author R C Sherriff's moving and harrowing tale of life in the trenches during World War One is brought dramatically to life in this superb play which is currently on tour to coincide with the centenary of the 1914-18 conflict. Sherriff is able to gain a special insight into the humanity and horror of the First World War after basing his story on own experiences in the trenches. The play, which was performed at the Lichfield Garrick theatre on September 30 as part of its 2016 tour, has been produced by Immersion Theatre with great attention to detail and a convincing set which recreates an officers' trench at the front line. Sherriff bases his main characters around a group of British officers anticipating an expected big German push in March 1918. They are a mixed group led by company commander Captain Stanhope, who tries to live up to his ideals of being a hero to his men while constantly relying on whisky to help cope with his worsening nerves. Alongside him are school teacher Osborne, referred to as 'uncle' because of his middle-age, Trotter, who seems more interested in food than the war, and Hibbert, who desperately tries to be sent home sick from the front. Into this group comes Raleigh, fresh from school and eager to be reunited with former pal Stanhope, who finds it all terribly exciting until, inevitably, the peaceful lull in the front line is shattered in dramatic and terrifying circumstances. A splendid cast, well directed by James Tobias, is led by Tom Grace as the troubled Stanhope, but there are equally excellent performances from all the main contributors, in particular Alexander Tol as Hibbert.